Despite the promise of the new "Second Republic" launched in the early 1990s, Italy remains Europe’s least well-governed country. Fifteen years ago, politicians on the take and mafiosi on the make were supposedly pushed aside by a new generation of reformers and crusading magistrates. 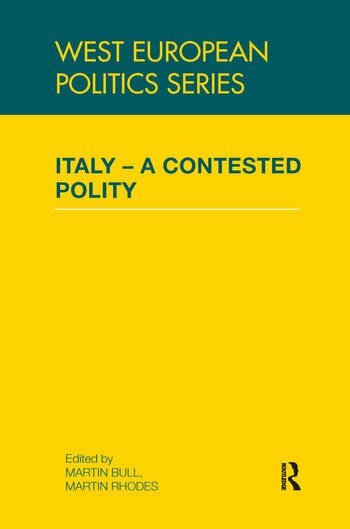 However, in this new book a team of leading experts on Italy uncovers little real progress. Badly needed reforms have foundered on bickering between the parties and their ego-centric leaders. Both left and right-wing coalitions have been guilty of impeding the anti-corruption revolution. Little has been done to improve the quality of public expenditure: infrastructure and education systems remain shambolic, and decades of periodic devaluation and deficit spending have left the economy structurally weakened. Italy’s politicians are not just masters of trasformismo (an ability to reinvent and present themselves anew to voters), but of stratificazione, or "layering", the introduction of new policies and institutions without replacing those that preceded them. The result is a damaging mix of obsolete and contradictory legislation, the product of bargaining over reform by chronically weak governments in a veto-ridden polity. The outcome – immobilismo – is a system in which all parties, and democratic government itself, are steadily losing legitimacy. Martin Bull is Professor of Politics at the University of Salford, UK. Martin Rhodes is Professor of Political Economy in the Graduate School of International Studies at the University of Denver, USA.